Fitbit, one of the most popular physical activity-monitoring device is a valid and reliable way of monitoring physical actions of cardiac patients, finds a study. 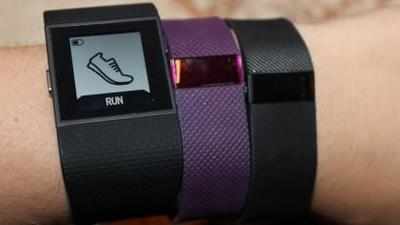 The research showed that Fitbit-Flex is a dependable device for checking activity specific to predicted attainment of physical activity guideline recommendations, that is, step counts and minutes of Moderate to Vigorous Physical Activity. It is also useful for monitoring physical activity in cardiac patients and for comparison among individuals. Further, it is capable of continuously monitoring free-living conditions and for providing valuable physical activity data for clinicians, individuals and researchers to track physical activity levels, the researchers noted in the study published in the European Journal of Preventive Cardiology. “Accurate activity tracking devices offer researchers and clinicians the potential to influence physical activity behaviour change, make a direct and real-time impact on self-management of physical activity and offer clinicians real world assessments of their patients’ daily activity patterns,” said researchers from the University of Sydney in Australia. To ascertain and evaluate the effectiveness for monitoring the physical activity of cardiac patients, the researchers evaluated 48 patients and family members participating in community-based exercise programmes. The 48 participants wore the device over four days to monitor daily step counts and minutes of moderate to vigorous physical activity (MVPA). The use of such devices offers significant promise to scientists working in cardiac rehabilitation programme to evaluate, monitor and encourage physical activity that is integral to recovery, the researchers concluded.